Michigan roads are notorious for being rough, unsteady and full of potholes. Sooner or later, your car may hit one that you didn’t see coming, costing you precious time and money. However, potholes are avoidable if you know where they are. The same is true with estate planning. This article will focus on pointing out some common estate planning “potholes” to avoid while you still can. Many of these suggestions are simply a matter of due diligence - updating your information and making sure your Foster Swift estate planning attorney is aware of changes in your life. An easy problem to avoid is designating beneficiaries or transfer on death designations that are in conflict with your estate planning objectives or that do not take into consideration income tax consequences. Keeping your beneficiary designations up to date and current is vital to the success of your estate plan. Many of your assets, such as life insurance, annuities, IRAs and tax-deferred benefits, will pass by this method. In addition, the non-probate transfer laws of many states provide for “pay on death” or “transfer on death” designations. Consequently, you may designate beneficiaries for bank accounts, CDs, stocks and other assets. While all of this is great news, remember to heed the advice of your estate planning attorney when designating a beneficiary. Why? Because an inconsistent designation could possibly conflict with the distribution plan you created in your will or trust. If this happens, any asset protection or tax planning built into your legal documents might also be short-circuited. Adding a child as joint owner on your bank accounts as a “convenience” is a common temptation which should be resisted as it can backfire with unintended consequences. These assets may unintentionally become subject to divorce, lawsuit and bankruptcy proceedings simply by adding someone's name. The more joint tenants you add, the greater your risk is. Also in the event of your passing, the assets held in joint tenancy will pass directly to the surviving joint owner (or owners) and potentially disrupt the plans you had for the distribution of your assets under your will or trust. Failing to adequately plan for individuals with special needs or disabilities can be a huge oversight. It is a mistake to leave an outright inheritance to a loved one with special needs or a disability. The inheritance itself could negatively impact the current or future eligibility of that loved one from receiving public assistance benefits to which they are entitled. And, if they do receive public assistance, then the inheritance may be required to reimburse the state instead of passing to your other family members. This is not a do-it-yourself project. Your estate planning attorney can help create a special needs trust or supplemental needs trust to “own” the inheritance in a trust rather than being owned by your loved one with special needs. The inheritance will be managed by an independent trustee who provides benefits as specifically described in the trust agreement. Failing to review your estate plan on a regular basis can be a major pothole but can easily be side-stepped. 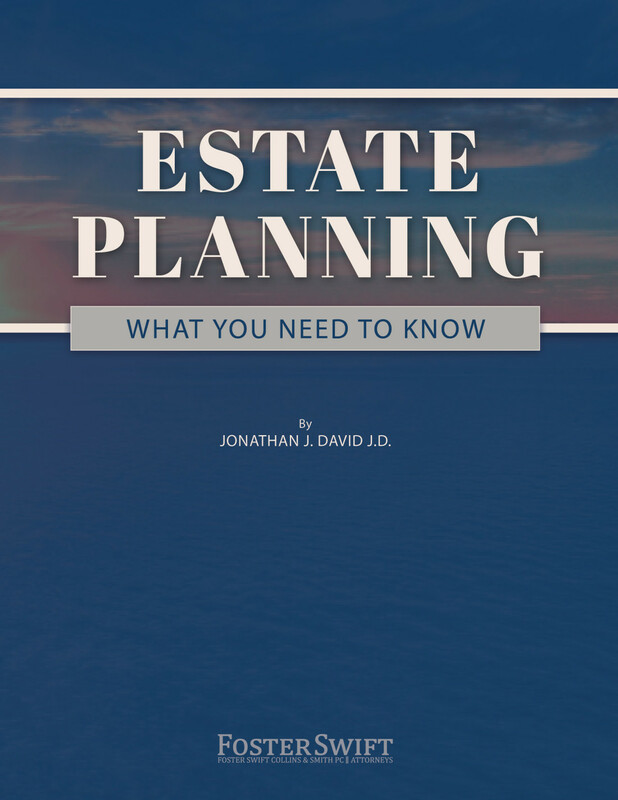 Ideally, you should make it a priority to visit with your estate planning attorney roughly every two years or whenever there is a major change in your life, the lives of your loved ones or in your financial situation i.e. retirement. Don’t be caught off guard and derailed by common misconceptions. 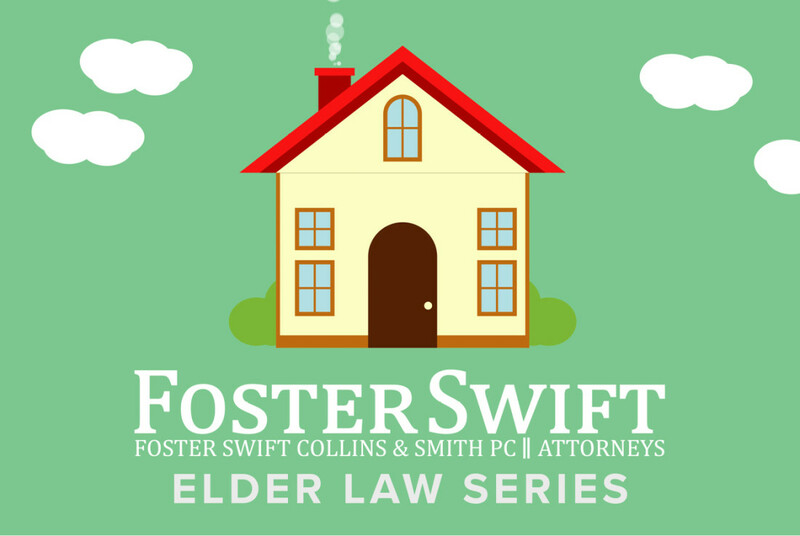 Contact a Foster Swift estate planning attorney if you have questions on your current estate plan situation before taking action. Need Help Planning Your Estate? Don't know where to turn? Click here to view/download the Foster Swift estate planning brochure to see what our experienced team of attorneys can do for you. Click here to view/download this complimentary e-book. Watch attorneys Matthew Fedor, Trevor Weston and Nicolas Camargo explain a brief overview of elder law and how it can help either your or your loved ones.